Pinnacle's Strawberry Shortcake Vodka is scrumptious and a wonderful combo of strawberries, cake and whipped cream making for a fabulous Champagne cocktail! 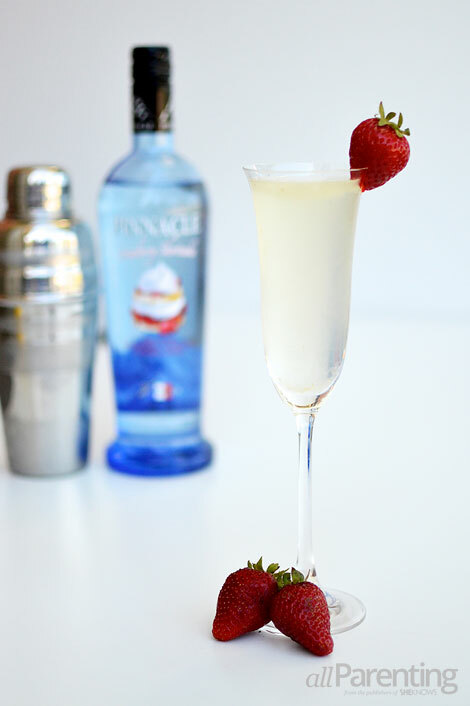 The whipped cream and strawberry combination of Pinnacle vodka makes it extremely smooth and refreshing. It’s an ideal flavored vodka to enjoy chilled on its own but even better when used in a Champagne cocktail! Perfect for a before-dinner aperitif and sweet enough to enjoy for dessert! Place the vodka and martini shaker in the freezer for 30 minutes. Fill your martini shaker with ice. Add the vodka, Champagne and lemon juice to the shaker and shake vigorously until well combined. Strain into a Champagne flute. Garnish with a fresh strawberry. Enjoy!